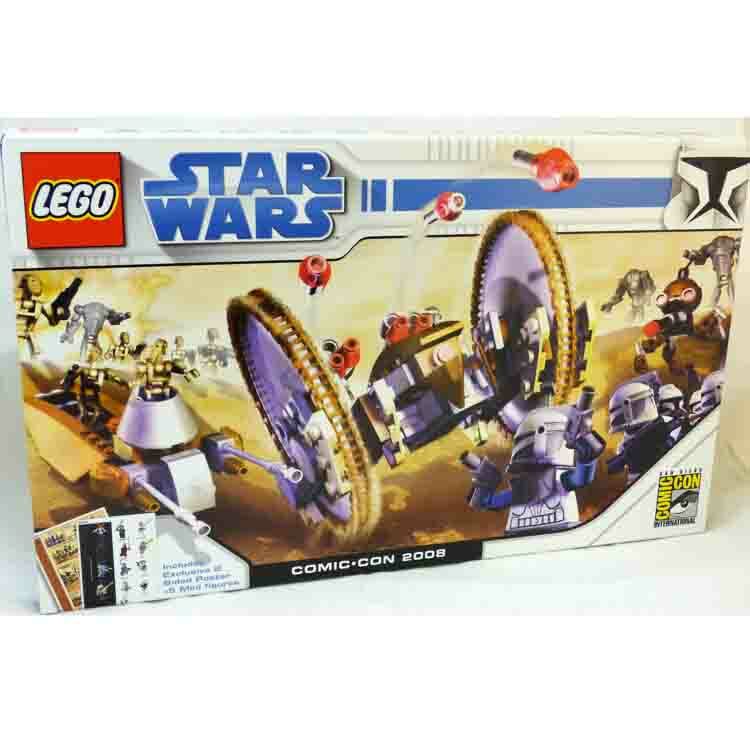 This is a BRAND NEW set of LEGO® Star Wars™ 2008 San Diego Comic Con Exclusive Clone Wars Pack. This set is still factory sealed and the box is in very good condition with minor shelf wear. 351 pieces and 8 minifigures©. This is a BRAND NEW LEGO® Star Wars™ 852844 Magnet set. This set is still factory sealed in the original plastic tubing and in very good shape. 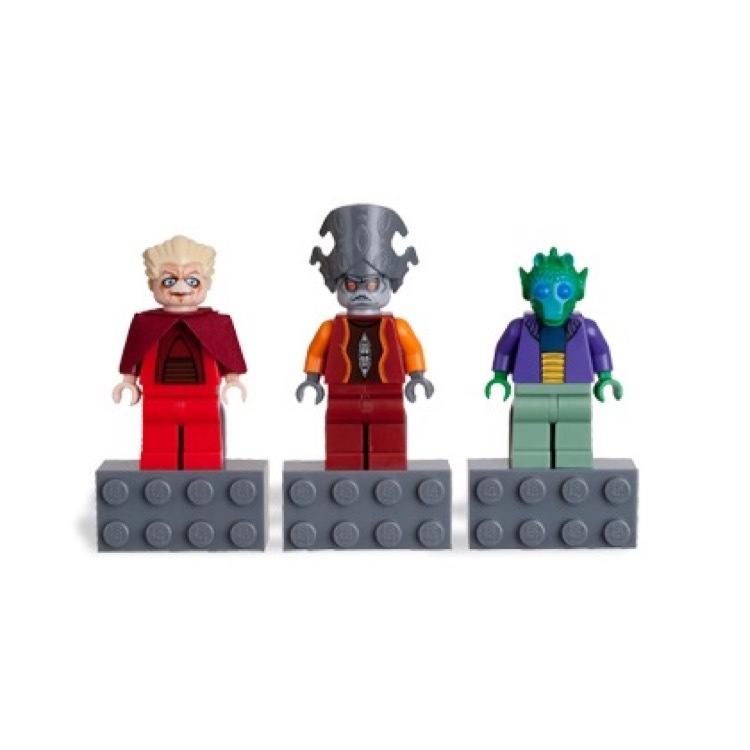 It contain 3 Star Wars™ minifigure© magnets: Chancellor Palpatine; Nute Gunray; and Onaconda Farr. 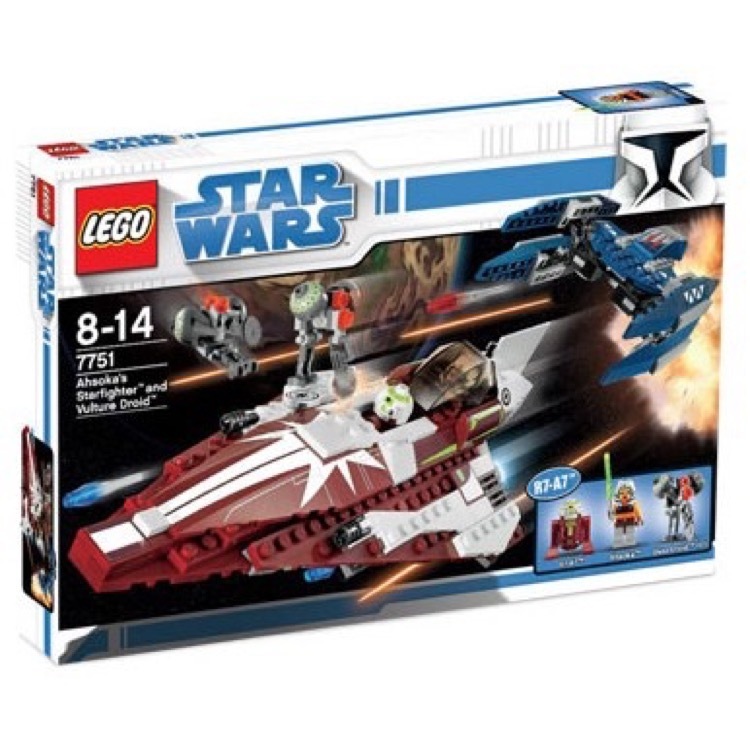 This is a BRAND NEW set of LEGO® Star Wars™ Clone Wars 7680 The Twilight from 2008. This set is still factory sealed and the box is in very good condition with minor shelf wear. 882 pieces and 4 minifigures©. 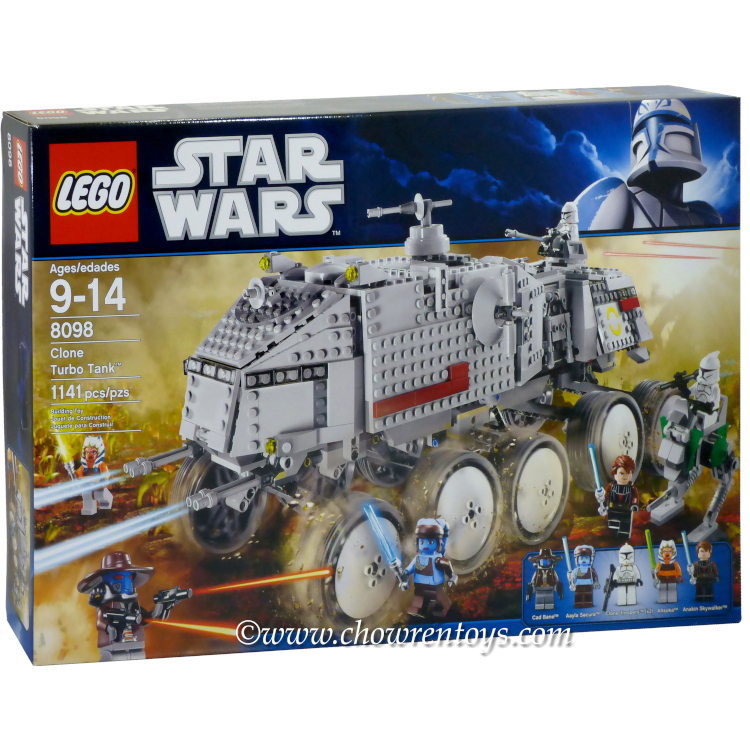 This is a BRAND NEW set of LEGO® Star Wars™ Clone Wars 8085 Freeco Speeder from 2010. This set is still factory sealed and the box is in very good condition with minor shelf wear. 177 pieces and 2 minifigures©. 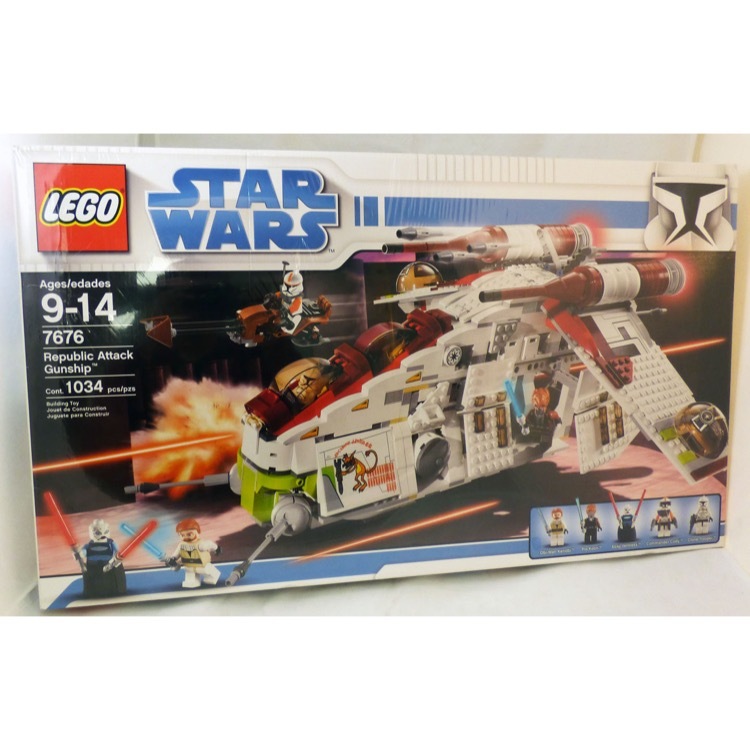 This is a BRAND NEW set of LEGO® Star Wars™ Clone Wars 8098 Clone Turbo Tank from 2010. This set is still factory sealed and the box is in very good condition with minor shelf wear. 1141 pieces and 7 Minifigures©. 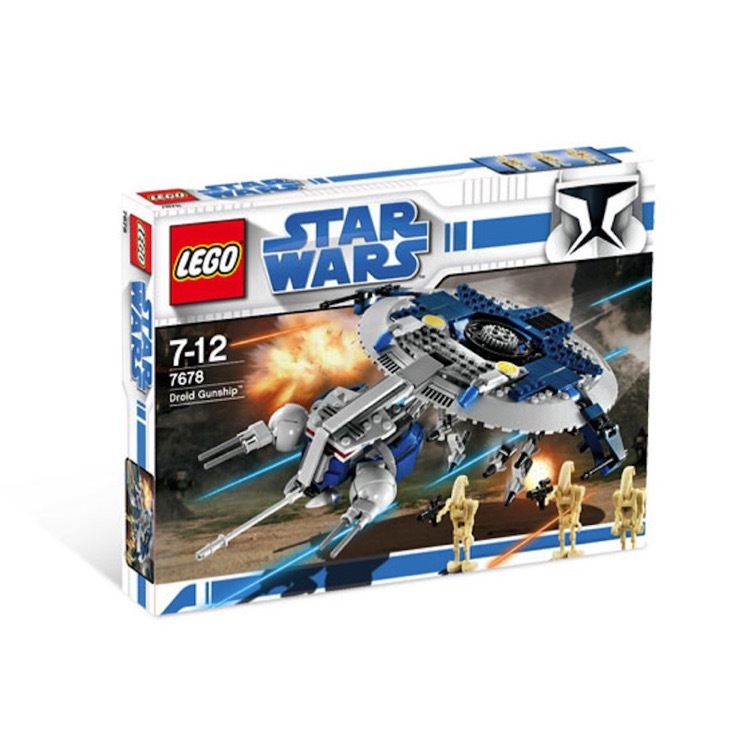 This is a BRAND NEW set of LEGO® Star Wars™ Clone Wars 7678 Droid Gunship from 2008. This set is still factory sealed and the box is in very good condition with minor shelf wear. 329 pieces and 3 minifigures©. 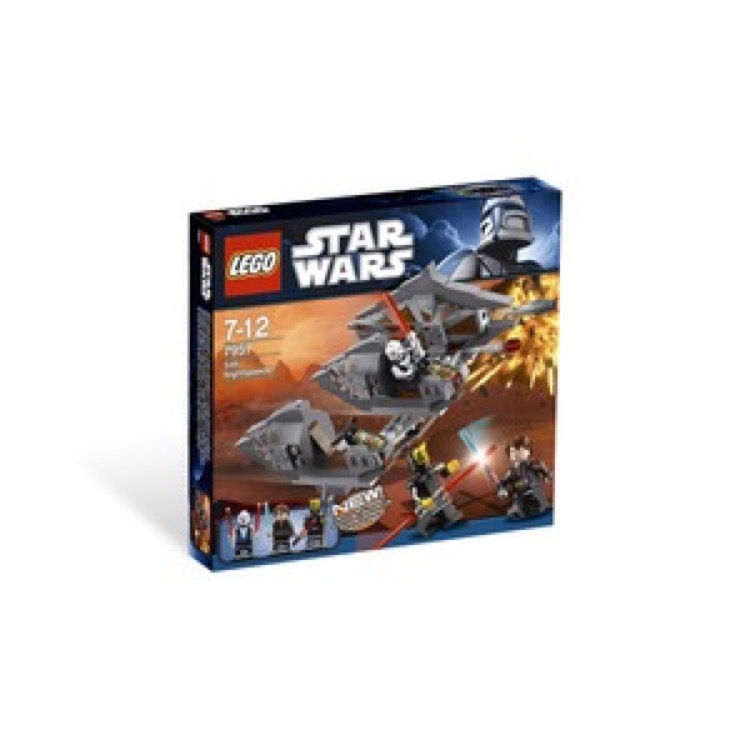 This is a BRAND NEW set of LEGO® Star Wars™ Clone Wars 7957 Sith Nightspeeder from 2011. This set is still factory sealed and the box is in very good condition with minor shelf wear. 214 pieces and 3 minifigures©. 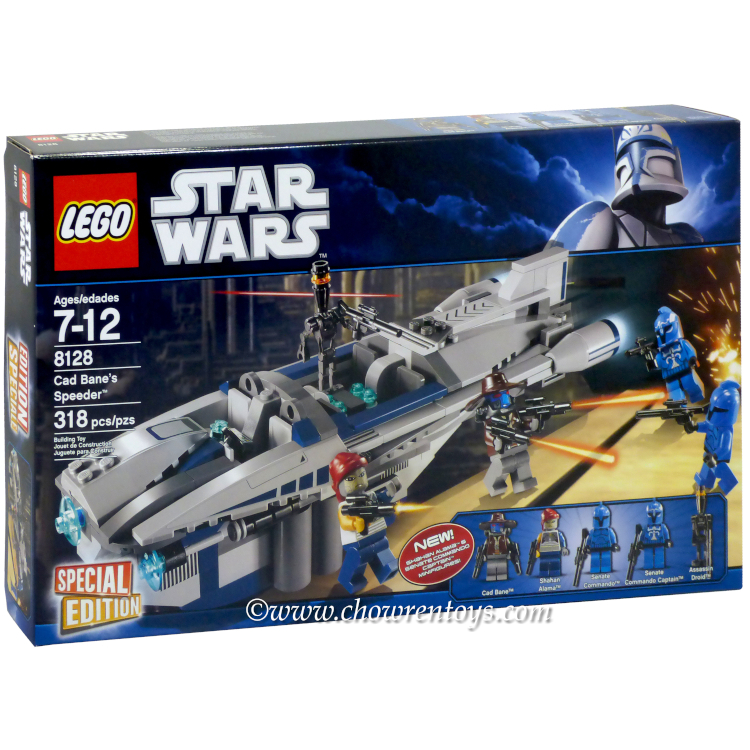 This is a BRAND NEW set of LEGO® Star Wars™ Clone Wars 8128 Cad Bane's Speeder from 2010. This set is still factory sealed and the box is in very good condition with minor shelf wear. 318 pieces and 5 minifigures©. 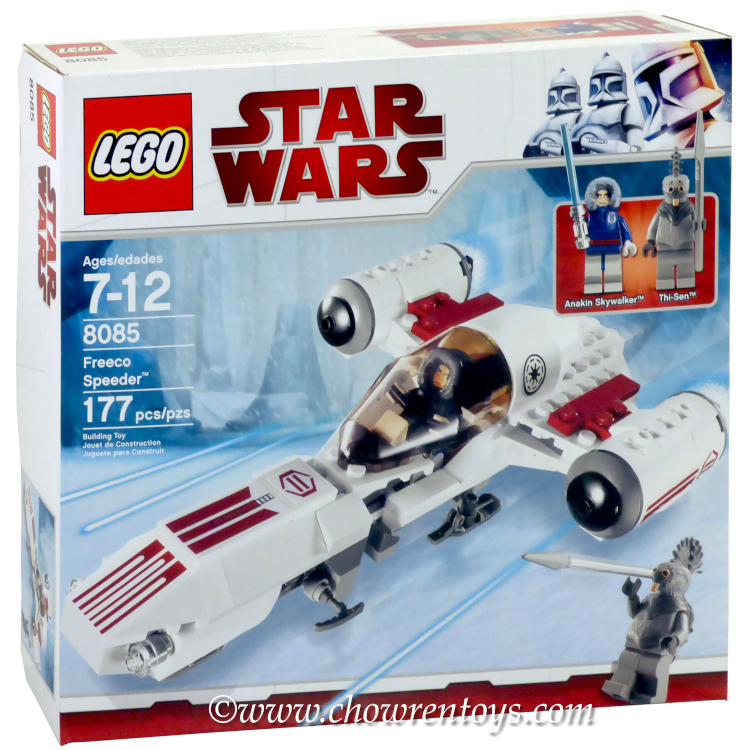 This is a BRAND NEW set of LEGO® Star Wars™ Clone Wars 7751 Ahsoka's Starfighter and Droids from 2009. This set is still factory sealed and the box is in very good condition with minor shelf wear. 291 pieces and 3 minifigures©. 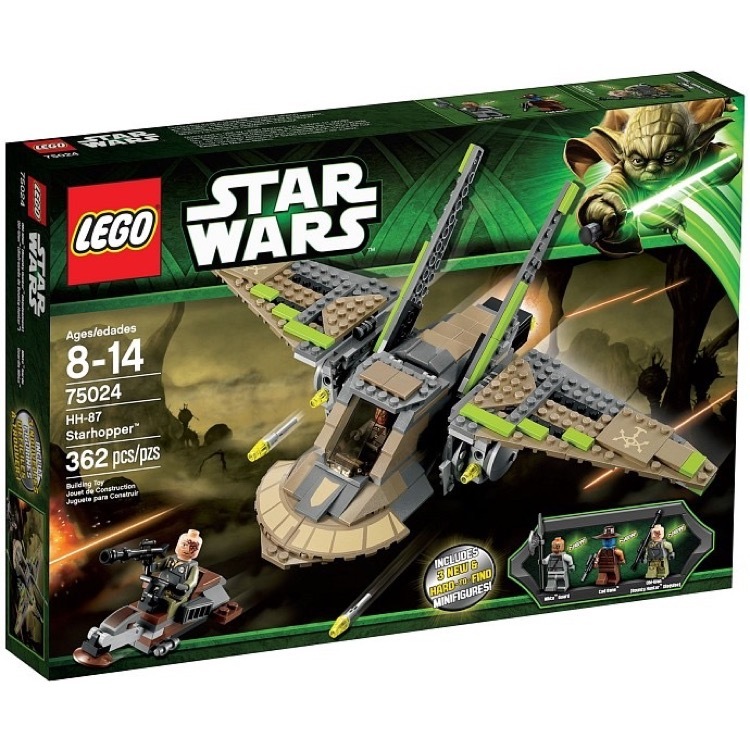 This is a BRAND NEW set of LEGO® Star Wars™ Clone Wars 7930 Bounty Hunter Assault Gunship from 2011. This set is still factory sealed and the box is in very good condition with minor shelf wear. 389 pieces and 4 minifigures©. 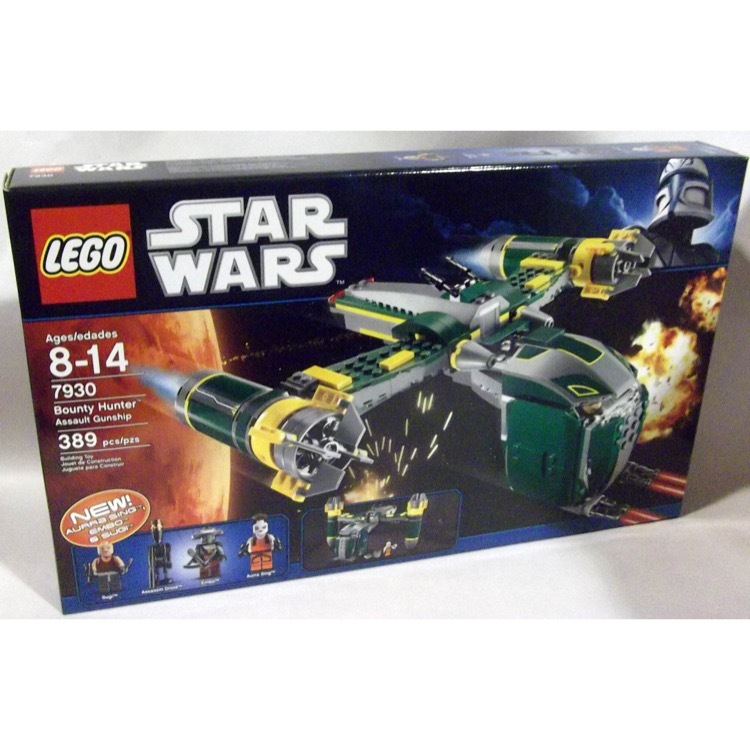 This is a BRAND NEW set of LEGO® Star Wars™ Clone Wars 7676 Republic Gunship from 2008. This set is still factory sealed, however the box is in rough condition with minor wrinkles, creases and shelf wear. 1034 pieces and 7 minifigures©. 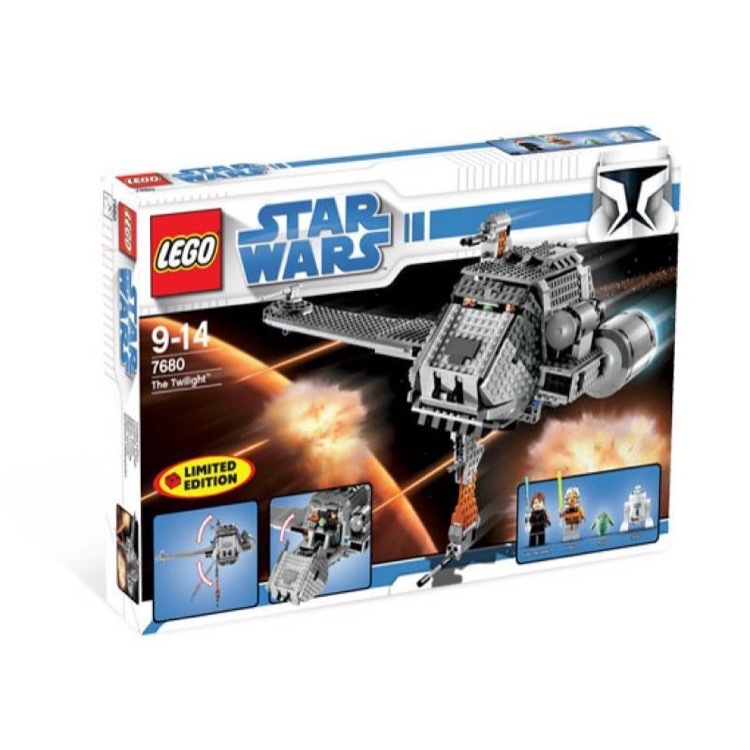 This is a BRAND NEW set of LEGO® Star Wars™ Clone Wars 75024 HH-87 Starhopper from 2013. This set is still factory sealed and the box is in very good condition with minor shelf wear. 362 pieces and 3 minifigures©.